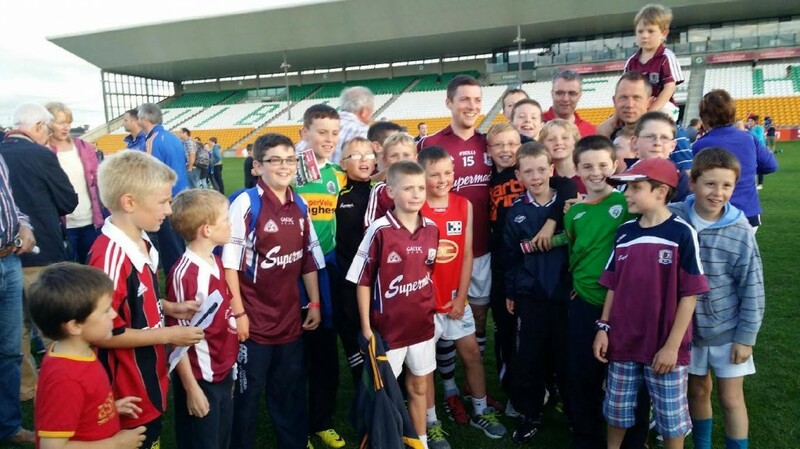 Claregalway GAA Club U11s pictured with Danny Cummins after he scored 1–1 in Galway’s win over Tipp at O’Connor Park Tullamore on Saturday. The U11s had their own success earlier with comprehensive wins over Garrycastle, Athlone, who they visited en route. 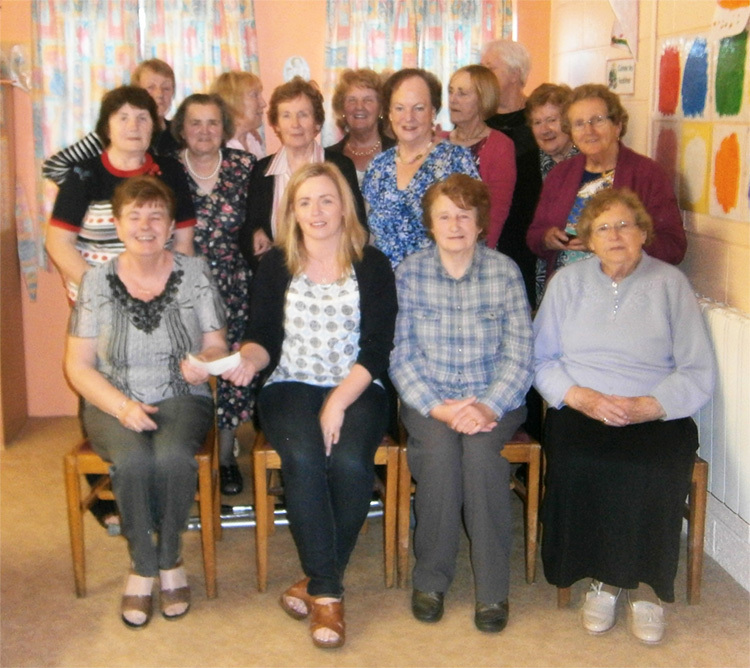 Members of the Carnmore Ladies Club and friends handing over a cheque of the proceeds of their recent sponsored walk in aid of the the Jack and Jill Foundation. The Carnmore Ladies Club would like to thank all that sponsored and walked with them. Croí are a charity dedicated to fighting Heart Disease and Stroke. In memory of her late father Mike, Niamh Thornton is doing the London Triathalon in August 2014 to raise much needed funds for this worthy Charity. As part of her fundraising there will be a charity car wash held on Saturday 19th July. Please follow the red ribbons at Carnmore Cross to find us. All support will be greatly appreciated and we look forward to seeing you there for your free tea or coffee! Baile Chláir Ramblers out and about today in Spiddal. Photo taken by Patsy Cahalan. 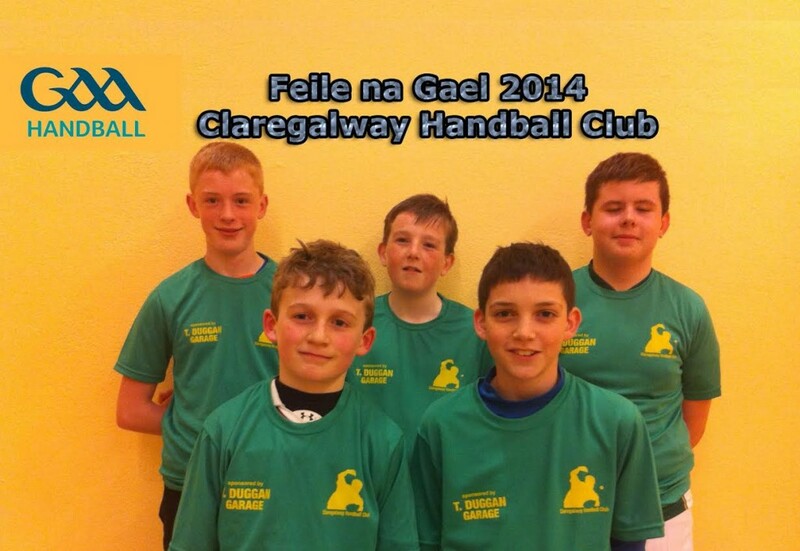 Claregalway Handball Club Boys U14 team are competing in this year’s Handball Féile in Scotstown, Co Monaghan. The lads have been prepared by coach Tommy Duggan in preparation for the competition. They compete in Division 5 on Saturday 21st of June with Finals on Sunday 22nd. In their first game they take on Crinkle, Co Offaly at 10am, followed by Mallow at 1pm and finally Lahorna at 3pm. The panel is: Shane Lawless, Darragh Jordan, Darren Grealish, Ciaran Keane and James Cummins. We wish ye the best of luck lads and will keep the Claregalway Handball Facebook page updated with your progress. Go n-éiri libh. 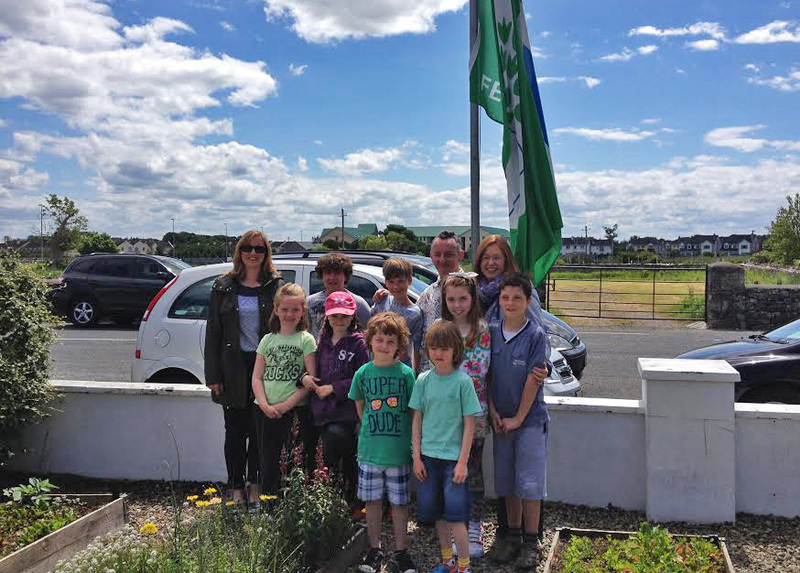 Claregalway Educate Together have just succeeded in achieving their 4th Green Flag for care of the environment in the area of Travel. Children became more aware of their modes of transport both to and from school and in the wider world. 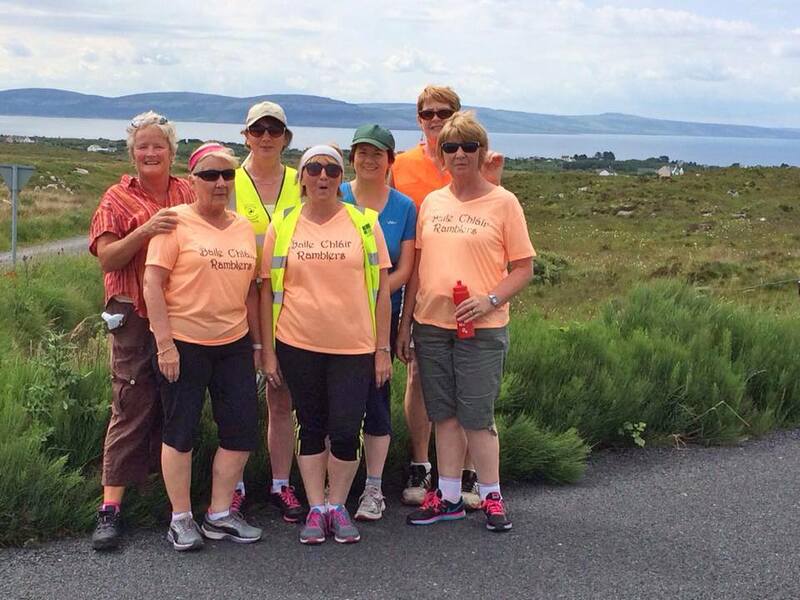 They took part in Park ’n’ Stride, car pooling initiatives and went on a 9km cycle around the environs of Claregalway accompanied by An Garda Síochána. All the school community gathered on June 5th to celebrate the event with music and a circus skills display. Special guest on the day; Little John Nee raised the flag. Cregmore Community Alert invite residents to join our Text Alert scheme. Text Alert is a Crime Prevention Initiative between the Gardaí and the Community, which will keep us all informed. We are hosting a second information and sign up evening in Cregmore National School on Wednesday the 18th of June between 7.45 and 8.30pm. 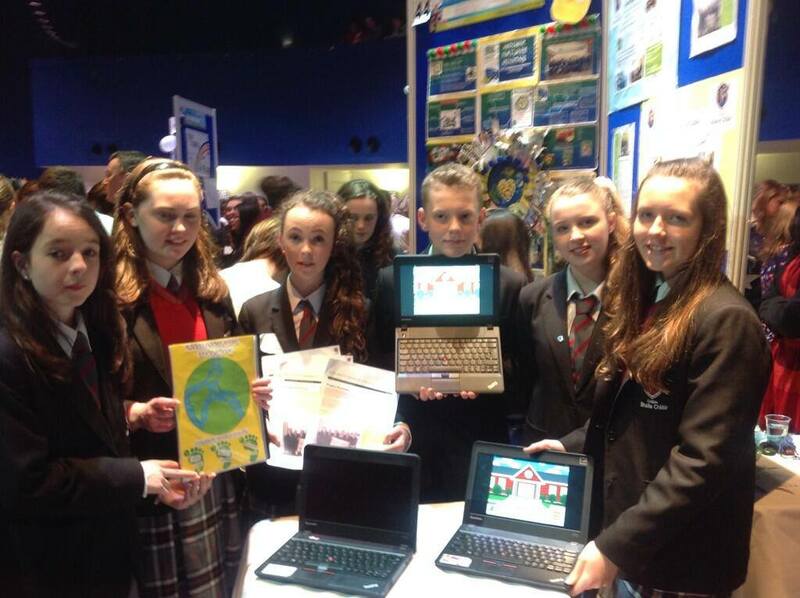 Congratulations to Coláiste Bhaile Chláir students Jade Sweeney, Luke Adams, Saoirse McCarthy, Amy O’Connell, Áilidh Molloy and Órlaith Roe whose project was Highly Commended at the ECO-UNESCO Young Environmentalist Awards 2014 this evening in The Mansion House, Dublin. Cregmore Community Alert invite all residents to join our Text Alert scheme. Text Alert is a crime prevention initiative between the Gardaí and the Community, which will keep us all informed. For more information and inclusion in the scheme, please drop into Cregmore School on Wednesday evening, 28th May between 7pm to 8:30pm. There was great excitement in the Raheen Woods Hotel, Athenry on Sunday afternoon last, when for the first time ever the children of Cregmore National claimed first prize in the traditional music group section of Scór na bPáistí. The children, mentored by their two teachers Ms Maude Connolly and Ms Rita Healy played two well known tunes, John McHugh’s Jig and The Continental Reel. 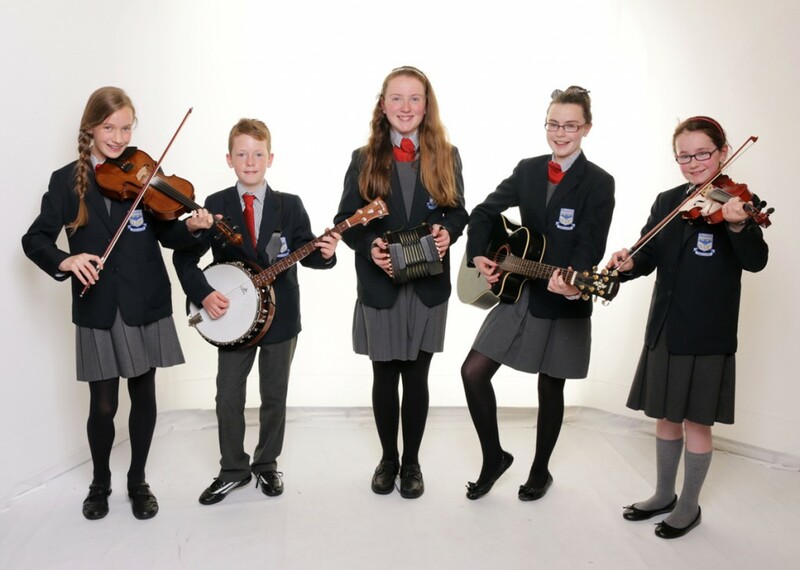 The photo, (courtesy of On The Spot Photos) shows members of the traditional group Viska Mulroy, Hugh Crowley, Niamh McGrath, Sarah McHale and Katelyn Ford.